Bredgar Church of England Primary School is a caring community underpinned by a strong Christian ethos. It is our aim to help each child realise their full potential, by promoting the highest Christian and educational values in all aspects of school life. We believe that each child must be valued as a person who has an equal right to our care, time and professional attention as a reflection of God’s love for that child. 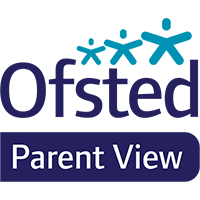 Our purpose is to provide a secure and happy learning environment where all members of our school community are valued as individuals and where their achievements are recognised and celebrated.Our aim is to fully develop and educate the whole child, preparing them for the future. Each term, children from KS2 can offer to lead a Whole School Act of Worship. They work to prepare an assembly with the support of a teacher. The children have demonstrated some excellent talents by making up their own songs, prayers and plays to help the worship come to life.